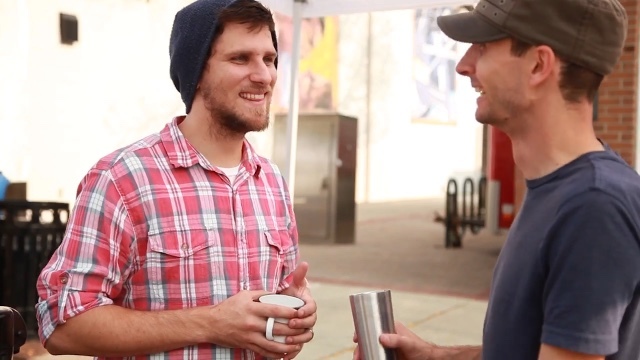 Gooseneck Coffee Company is the creation of Bill and Noah from Plymouth MI. They are embarking on a career and life changing course, becoming coffee roasters on a larger scale. To accomplish this ambitious goal, they are using Kickstarter to launch their bid for a larger coffee roaster and to spread the word of their coffee. Gooseneck has humble beginnings, starting just two years ago when Bill and Noah did a pop-up, pour over coffee bar for a friends’ Christmas Party. They had such a good time doing it, the passion, and commitment for their love of coffee showed up. Their wives saw this and suggested to them that they should consider doing this as a career. Bill delivers medical equipment, and Noah is a math teacher. Both are friends, but both of them also have a strong love of coffee, and that combination of friendship and love of coffee is the touchstone for Gooseneck Coffee Company. The Gooseneck Coffee Company name came from the gooseneck kettle that is used in most brew methods of coffee, it is a standard piece of equipment for most barista and coffee geeks. Currently Bill and Noah are using a Huky 500 coffee roaster, which is a great little roaster, the problem now is that they are in that grey zone of needing a bigger roaster to meet the demands for their coffee, but they don’t have enough venture capital, or time to meet that demand, and as a result there are some coffee customers doing without fresh roasted coffee from their local guys. This is where you, the reader, come in. If you are a supporter of local economy, and believe in paying it forward by helping people with cash donations, then the Kickstarter platform is for you. I love supporting the local guy, and helping out entrepreneurs, and Kickstarter is a safe way to do so easily. As an incentive Kickstarter and Gooseneck has rewards based on your contribution from a sticker, to one of a kind special coffee that you won’t find anywhere, special made t-shirts, cups and water bottles, and some of the packages are combination of those items, but if you give big, there is the fantastic reward of your own coffee tasting and brewing party. Talk about being the new hipster on the block. 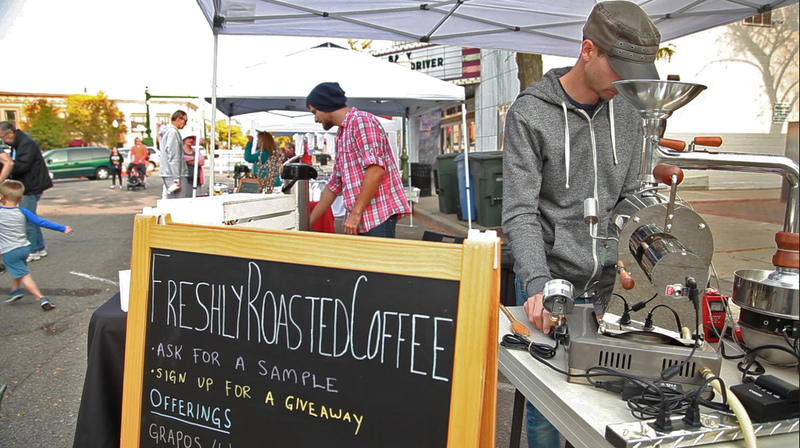 With the money they are raising, Bill and Noah will be able to get the larger coffee roaster from Mill City Roasters, another fantastic coffee roaster company. This will allow Gooseneck Coffee Company to increase productivity, and meet the requirements in Michigan, so they can forward in serving the larger market, and making their presence known. Kickstarter is an all or nothing fund raiser, they have to meet their goal by Nov 2, so the time to act is now! 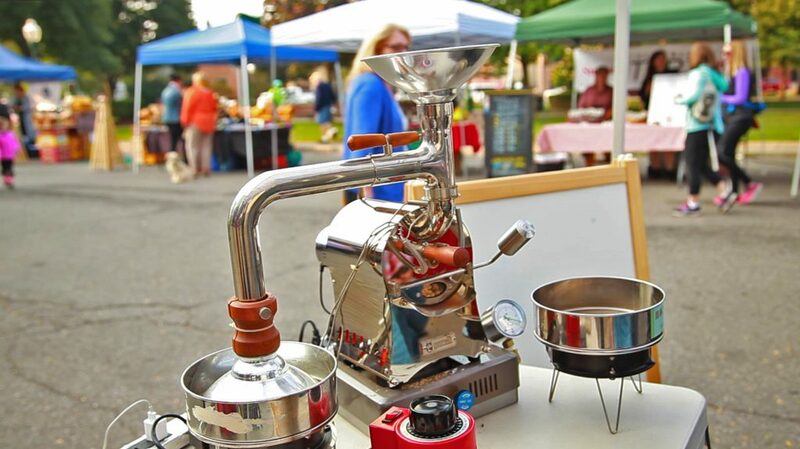 Gooseneck market presence is now at the farmers’ market in Plymouth MI, where they sell their coffee by the bag, and with the larger coffee roaster Bill and Noah will be able to offer internet sales, allowing the rest of us the access and ability to enjoy their coffee. I personally feel honored that I have the opportunity to provide ground level support for something this noble. I want to see them become successful, and knowing that I helped out makes even more exciting! So yes! I am calling you all out to do something! Be a part of a bigger picture! Pay it forward to somebody, and be a part of the dream for others today!